Electronics. Freeze Drying. Material Sciences. Today’s modern-day technologies have made being prepared for short-term and long-term survival easier than ever. Unfortunately, electronics need a constant energy source, freeze dried food is not always on hand, and lightweight materials eventually wear out. Though today’s sciences have made survival easier, it would behoove us all to keep in mind the survival skills learned and implemented by our forefathers. For centuries, out ancestors lived without electronics, chemical preservatives, or highly engineered materials. A group of resilient individuals who were skilled at surviving the harsh elements with little rations and supplies were the men who fought during the American Civil War: both Union and Confederate. During this time, a world run on electricity was left to the realm of science fiction. The men on the front lines during the various battles that took place had not computers, GPS, or digital anything. It was an analog world. Even though that sounds archaic in today’s hi-tech world, the durability of a brass and clockwork world has extended to modern times; whereas, many electronics do not last longer than a few years. With that in mind, learning to use an analog compass could be one of the most important skills you could acquire. Additionally, an analog watch would be another common tool that our forefathers carried. The most common style was of course a pocket watch, but a wristwatch would be just fine. What is important is the fact that the watch is a wind up and does not rely on batteries to operate. There are many wind up watches from the Civil War era that are still in use today. All you have to do is remember to wind it up every day and your are set. Tools should not be the only focus when looking for survival tips from the past. Food is another important aspect of survival and again we can look to the rations of the the Civil War soldier for ideas. 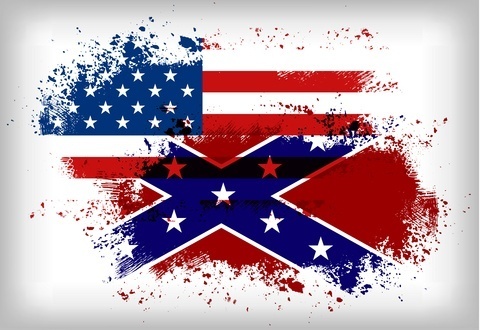 The Confederates and the Federals had very similar diets in the beginning, which consisted primarily of salted pork and dry goods such as beans and rice. Two main staples of a soldier’s diet was hardtack and desiccated potatoes. 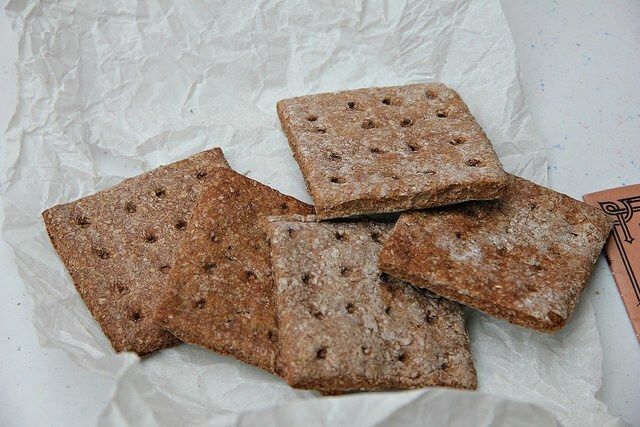 Hardtack is a type of hard, dry biscuit made from flour, salt, and water. The ingredients are mixed together and slowly baked until hard. The shelf life of these little briquettes were amazing as long as they were kept dry. It was even rumored that the U.S. issued hardtack that was made during the Civil War to soldiers fighting in Spanish American War. Another food item that soldiers were issued were desiccated potatoes. Once again, the starch laden food was relatively cheap to come by and seemed to have kept the men feeling full. Desiccated is simply another word for dehydrated for all intents and purposes. The potatoes were thinly sliced and dried until all of the moisture was removed and the slices were no longer pliable. Like hardtack, desiccated potatoes have an incredible shelf-life. When it came time to eat both of the items, they were commonly boiled in broth or in water with salt pork until the potatoes or the biscuit became tender. It is pretty common knowledge that the most versatile modern-day material is the polyethylene tarp. These tarps can be used as a shelter, water collector, ground cover, or rain fly. Just has the polyethylene has a variety of uses so does it’s ancestor, the canvas tarp. The canvas tarp can be used for everything a polyethylene tarp, plus a few extras. Canvas tarps are better suited than polyethylene to fashion replacement packs or totes to carry supplies. Also, canvas tarps are also better for being turned into ponchos, jackets, and other clothing items. 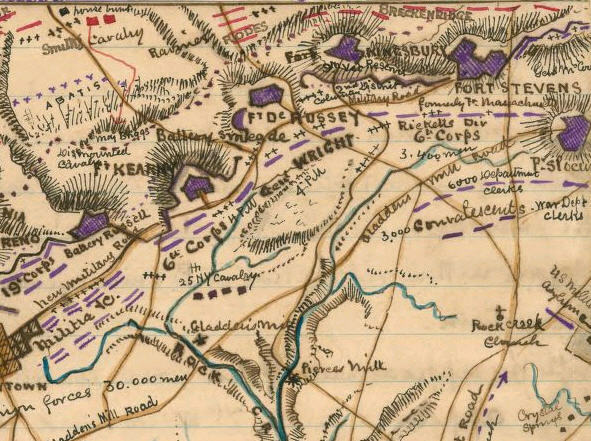 During the Civil War it was also common to draw field maps on canvas instead of paper because of its water resistance and durability. There is no doubt that modern technology has made survival and emergency preparedness much easier. However, that does not mean should not look to the past for tips and techniques for successful survival. Gone are the days of big bulky solar panels. Today they are light, affordable and portable too. Check out these portable solar panels you can use outdoors. If you don’t know what a ghillie suit is, you need to check this out! Here are my recommendations for ghillie suits that’ll make you disappear. You don’t need to subject your taste buds to boring food while you’re living it up outdoors. Thanks to some clever designs you can have a top class cooking stove without taking the kitchen sink.